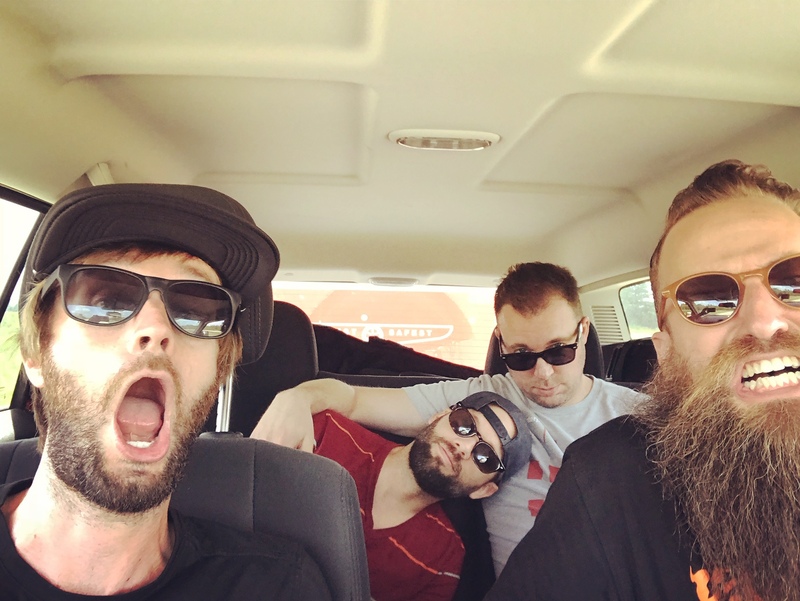 Fort Frances’ groovy 2019 jam “Double Take” is an urgent call for everyone to press pause, reset, breathe, and get our priorities in order. WARNING! This video contains flashing lights, and may potentially trigger seizures for people with photosensitive epilepsy. Viewer discretion is advised. Every one of our screens has been screaming in our faces about what’s right and what’s wrong and which side you should be on. It’s overwhelming. Chicago trio Fort Frances are kicking off 2019 with an important message for all of us caught up in the thick of things: Press pause, relax, and breathe! The band’s groovy new single “Double Take” is an urgent call for all to calm down, reset, and get our priorities in order. Life moves really fast in 2019 — fast enough that you forget who you are, why you do what you do, and the people and things you care about the most. Don’t get sucked up in the madness; do a double take. Atwood Magazine is proud to be premiering the new single and lyric video for “Double Take,” the Fort Frances’ rallying cry and a perfect way to start 2019. The band’s first piece of material following 2016’s third album Alio and a beachy follow-up single “Summertime,” “Double Take” finds Fort Frances returning to the fore in style with a resounding rejection (that’s right) of the sh*tstorm that’s come to be our daily lives. You get the picture. You’re alive right now; you know what this is like. We live in a time where the loudest person wins. Who wrote the tweet with the most exclamation points? Which person on the 10 p.m. cable TV panel managed to rise above all the other voices in the conversation? Who wrote the post with the most capital letters and the most expletives? While everyone has been yelling, I have been keeping my voice at a minimum volume. I got married on New Year’s Eve leading into 2016. Fort Frances released a record that spring. The Cubs even won the World Series in the fall. It was a stretch of time that felt so damn good. I didn’t need to say much. The days on the calendar felt like riding a rising wave to the shoreline of paradise. But our lives are not defined by days and weeks and months. They are shaped by history steamrolling toward moments that we will never forget. My grandfather used to recall the bar where he was having a beer in California when the owner came over to tell him that the Japanese had surrendered, that the war was over, and that he wouldn’t have to serve another tour of duty. My parents can tell me where they were when JFK was shot. I remember sitting in Mr. Patterson’s English class after the plane struck the second tower in New York City on 9/11. And now, my brain will never delete the evening of watching the results roll in on the evening of the U.S. election in November 2016. That night marked the turning point where everything got louder. Every one of our screens has been screaming in our faces about what’s right and what’s wrong and which side you should be on. It’s overwhelming. Over the past two years, I have been collecting my thoughts and writing songs. Fort Frances has been turning them into something bigger. But these songs aren’t about being louder. They are about slowing down, sifting through all the noise around us and taking a closer look at the world. 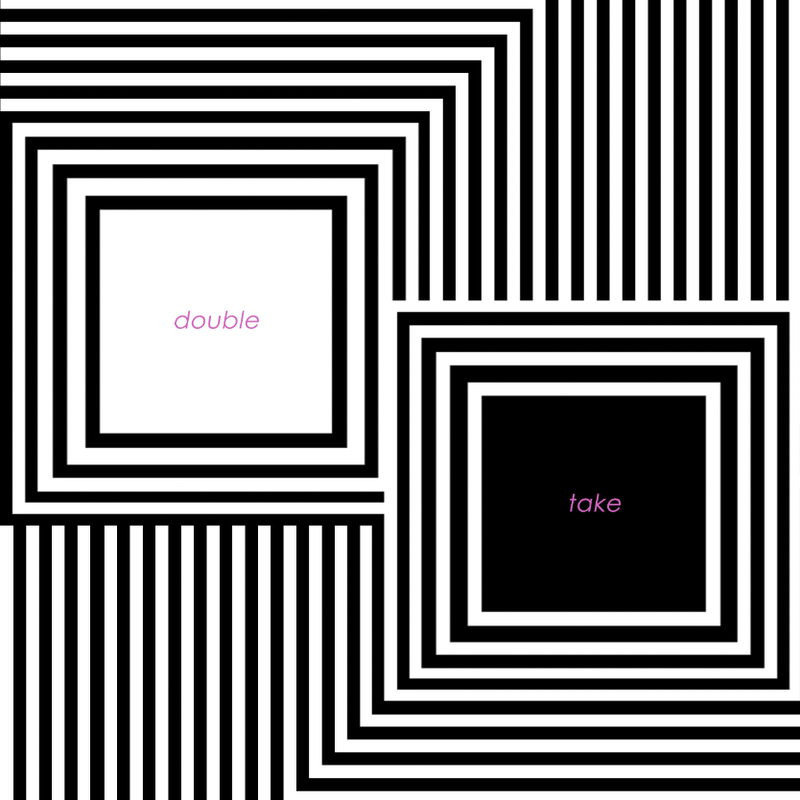 “Double Take” is the first single. I can’t say exactly when the full record will be released — at some point this fall, I’m guessing — but this song can’t sit on the shelf any longer. There’s one line in the song — “If all I ever knew was wrong, how do I know where to go from here?” — that feels like it sums up my brain fairly well right now. I don’t have the answer to that yet, but I do know there’s an urgent need for all of us to press pause and find a new direction forward. Fort Frances aren’t telling us to shut up, or to stop doing what we’re doing; they’re just encouraging us to affirm why we’re doing what we’re doing, and make sure we’re all doing it for the right reasons, and in the best way possible. Social media is a drug; sites like Twitter and Facebook encourage attention-seeking behavior, which is linked in the brain to addictive behaviors through the mesolimbic dopamine pathway and the greater “reward system.” We can all benefit from a breather away from this hectic, constant chaos – and that’s what “Double Take” is all about: Taking care of ourselves, and making sure we’re operating at 100% in this hyperconnected 24/7 world. Stream “Double Take” exclusively on Atwood Magazine!